The $25,000 Rea Award for the Short Story has been awarded to TILLIE OLSEN. Jurors for the 1994 Rea Award for the Short Story were authors Charles Baxter, Susan Cheever and Mary Gordon. 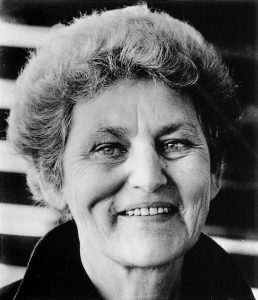 The Rea Award for the Short Story was established in 1986, to honor a writer who has made a significant contribution to the short story as an art form. It is given annually by the Dungannon Foundation to a living U.S. writer. The award cannot be applied for; the recipient is nominated and selected by a jury. Tillie Olsen is the author of short story collection Tell Me A Riddle, the novel, Yonnondio: From the Thirties the novella Requa – I, and a book of essays, Silences. She is the editor of Mothers and Daughters: That Special Quality – An Exploration in Photographs and Mother to Daughter, Daughter to Mother: A Daybook and Reader.